The Rendezvous Ski Trials are operated and maintained by the West Yellowstone Chamber of Commerce. The West Yellowstone Ski Education Foundation manages the actual grooming of the trails. This Nordic trail system winds 42 km in the Gallatin National Forest just west of Yellowstone National Park. The trailhead is at 100 South Geyser Street in West Yellowstone. The trial system includes a wide skating lane and diagonal stride tracks. Each November hundreds of ski racing enthusiasts, from beginner to expert (including many Olympic hopefuls) train here. The high elevation of the site allows for plenty of snow and the trails range from easiest to most difficult. Daily and seasonal passes, individuals or families, are sold at the Hebgen Lake Ranger District Office, the West Yellowstone Chamber of Commerce, and several ski shops in the town of West Yellowstone. 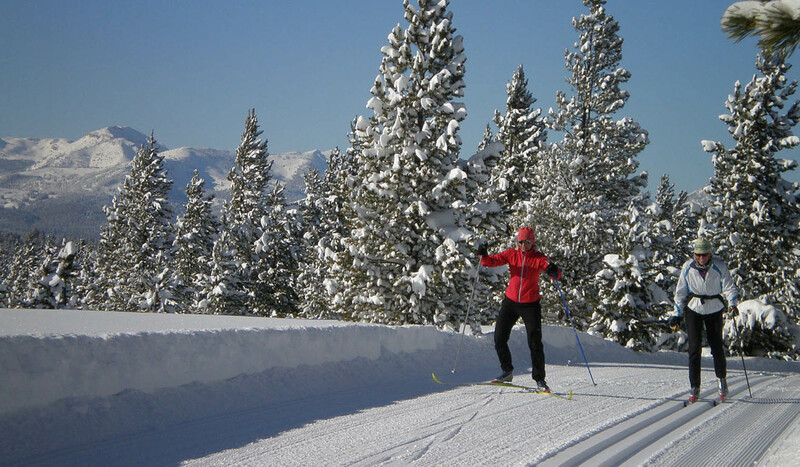 West Yellowstone also offers two other groomed trail experiences. The Riverside Trail takes skiers along the Madison River within Yellowstone National Park and the Boundary Trail, in the Gallatin National Forest, that is pet friendly. In addition, West Yellowstone has easy access to millions of acres of incomparable backcountry ski touring and telemarking. Dogs and snowmobiles are not allowed.